FIWARE is a curated framework of open source platform components which can be assembled together and with other third-party platform components to accelerate the development of Smart Solutions. 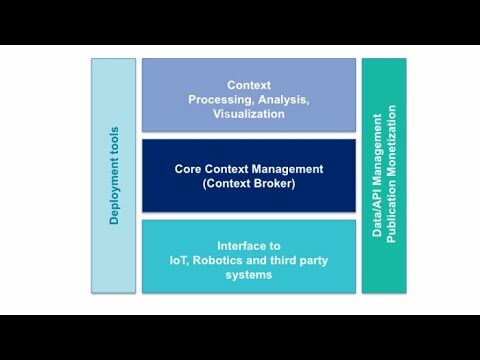 Core Context Management allows you to model, manage and gather context information at large scale enabling context-aware applications. Internet of Things (IoT), Robots and third-party systems, defines interfaces for capturing updates on context information and translating required actuations. Context Data/API management, publication and monetization, implementing the expected smart behaviour of applications and/or assisting end users in making smart decisions. 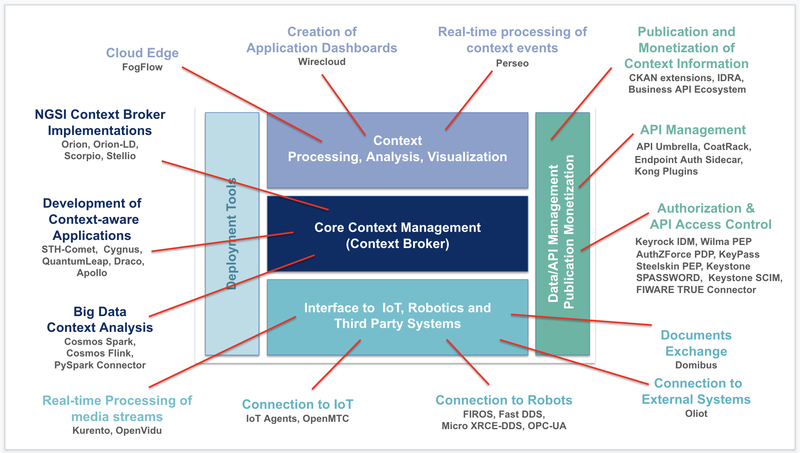 Processing, analysis and visualization of context information, bringing support to usage control and the opportunity to publish and monetize part of managed context data. This video presentation is a basic introduction describing what FIWARE is, why you need it and how the elements of the FIWARE Catalogue can help accelerate the development of your Smart Solution.